During the dark autumn nights of 1888 the streets of London’s East End were terrorised by a string of horrific murders committed by a fiend who will forever be remembered as . . . . Jack the Ripper. Between August 31st and November 9th Jack the Ripper brutally murdered 5 women on the streets of Whitechapel. Despite the best efforts of the Metropolitan Police and Inspector Frederick Abberline the killer was never found. Investigate dozens of areas of interest including the 5 murder scenes! Retrace the steps of the victims and hunt for clues. Analyse the evidence and look for connections. 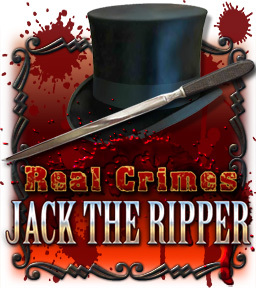 Draw your ultimate conclusions and decide which suspect is Jack the Ripper!